The syrup, seasoning, oils and general food market consists of sales of syrup, seasoning, oils and general food by entities (organizations, sole traders and partnerships) that produce flavouring syrup and concentrate, seasonings and dressings, vegetable oils and general food products. The companies in the industry package and distribute their products through various distribution channels to both individual customers and commercial establishments. 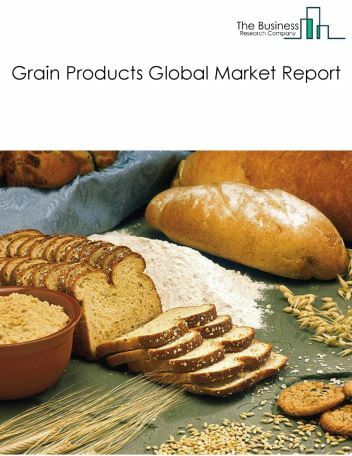 Major players in the global syrup, seasoning, oils, & general food market include The Hershey’s Company, Kerry Group, Tate & Lyle, Monin Inc., Concord Foods. The syrup, seasoning, oils, & general food market size is expected to reach a double digit figure by 2022, significantly growing at a CAGR of around 6.9% during the forecast period. The growth in the syrup, seasoning, oils, & general food market is due to increased demand for artificial flavourings and rapid urbanization, and shifting consumer preferences in both developed and developing countries. However, the market for syrup, seasoning, oils, & general food is expected to face certain restraints from several factors such as health awareness and changing regulatory environment. The global syrup, seasoning, oils, & general food market is further segmented based on type and geography. By Type - The syrup, seasoning, oils, & general food market is segmented into flavouring syrup and concentrate manufacturing, seasoning and dressing manufacturing, fats and oils manufacturing, syrups, molasses, sweet spreads, jam, jellies, preservatives, savoury spreads, seasoning, dressing, fats, oils. By Geography - The global syrup, seasoning, oils, & general food is segmented into North America, South America, Asia-Pacific, Eastern Europe, Western Europe, Middle East and Africa. Shift towards the use of natural ingredients instead of artificial colours and flavours, introduction of healthier alternatives like canola oil, organic vegetable oil, trans-fat free soybean oil and olive oil are the major trends witnessed in the global syrup, seasoning, oils, & general food market. 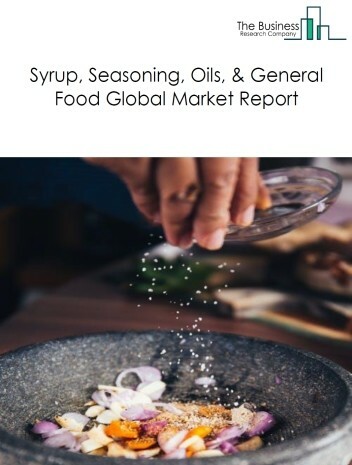 Potential Opportunities in the Syrup, Seasoning, Oils, & General Food Market With the shift from artificial to natural bases of syrups and, the scope and potential for the global syrup, seasoning, oils, & general food market is expected to significantly rise in the forecast period. 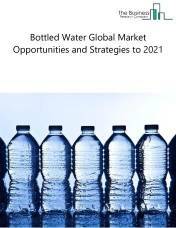 The bottled water industry includes establishments involved in purifying and bottling water. Companies in the bottled water industry are primarily involved in purifying water, packaging, marketing and distributing it in the form of bottled or canned water. The bottled water products are further sold to either distributors or end user outlets. Distributors in the bottled water industry further charge commission on the products depending on several factors such as availability, pricing and relationship between the two entities. The end users of bottled water products include institutions and retail customers. Institutional customers cover establishments such as restaurants, offices and hotels. They purchase bottled water from wholesalers or distributors. 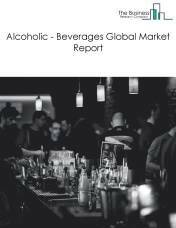 The alcoholic beverages manufacturing market consists of sales of beverages that do not contain any alcohol by entities (organizations, sole traders and partnerships) that produce beverages that do not contain any alcohol. The companies in the alcoholic beverages industry process raw materials into alcoholic beverages, package and distribute them through various distribution channels to both individual customers and commercial establishments. 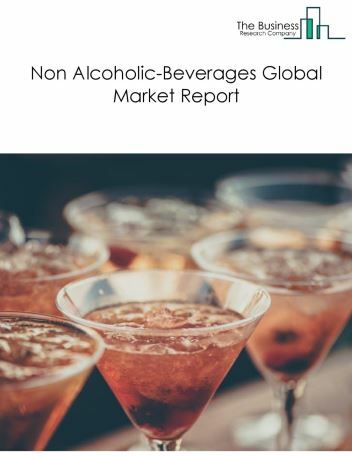 The non-alcoholic beverages manufacturing market consists of sales of beverages that do not contain any alcohol by entities (organizations, sole traders and partnerships) that produce beverages that do not contain any alcohol. The companies in the non-alcoholic beverages industry process raw materials into non-alcoholic beverages, package and distribute them through various distribution channels to both individual customers and commercial establishments. 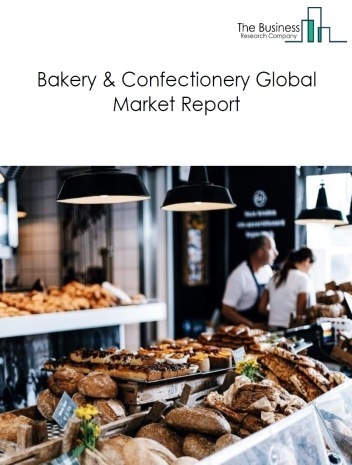 The bakery and confectionery manufacturing market consists of sales of bakery and confectionery by entities (organizations, sole traders and partnerships) that produce bakery and confectionery products. The companies in the bakery and confectionery industry process raw materials into bakery and confectionery, package and distribute them through various distribution channels to both individual customers and commercial establishments. Some of the examples of bakery and confectionery products include breakfast cereals, breads, cookies, chocolates, gums, sugar confectionery and others. 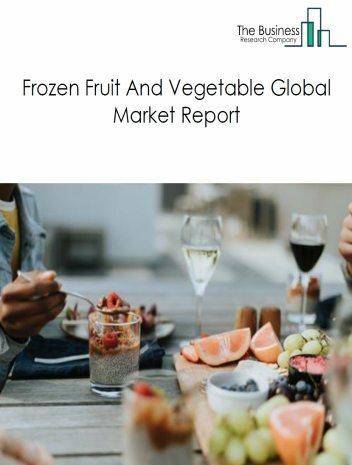 The frozen fruit and vegetable market consists of sales of frozen and canned fruit and vegetables by entities (organizations, sole traders and partnerships) that produce frozen and canned fruit and vegetables. This market does not include unprocessed fruit and vegetables which are part of the agricultural market. The companies in the industry package and distribute their products through various distribution channels to both individual customers and commercial establishments. 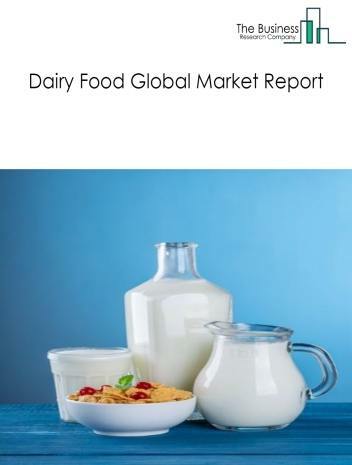 The dairy market manufacturing consists of sales of dairy products by entities (organizations, sole traders and partnerships) that produce dairy products from raw milk and processed milk products, produce dry, condensed, concentrated and evaporated dairy, and/or produce some dairy substitute products. The companies in the industry package and distribute their products through various distribution channels to both individual customers and commercial establishments. 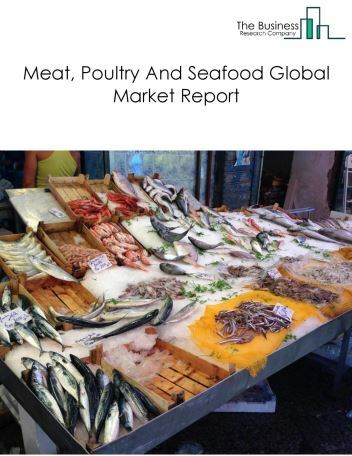 The meat, poultry and seafood market consists of sales of meat, poultry and seafood by entities (organizations, sole traders and partnerships) that produce and process meat, poultry and seafood. The meat, poultry and seafood industry includes establishments engaged in animal slaughtering and processing, poultry processing and seafood product preparation and packaging. The companies in the industry package and distribute their products through various distribution channels to both individual customers and commercial establishments.